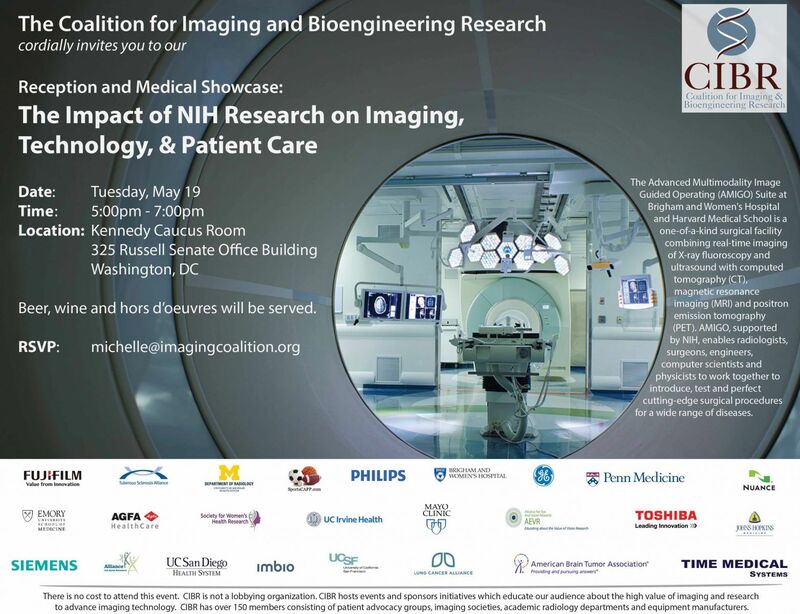 The Coalition for Imaging and Bioengineering Research (CIBR) is a dedicated partnership of academic radiology departments, patient advocacy groups, and industry with the mission of enhancing patient care through advances in Biomedical Imaging. 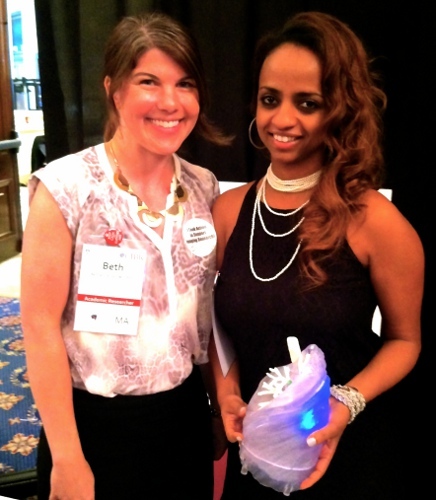 My good friend and colleague Dr. Beth Ripley and I recently participated in the sixth annual Medical Technology Showcase at Capitol Hill organized by CIBR, representing the Department of Radiology at the Brigham and Women’s Hospital (BWH) where we emphasized the importance of 3D printing in healthcare. The annual Medical Technology showcase aims to bring examples of medical breakthroughs in imaging and bioengineering to members of congress and demonstrate how these advances are impacting patient care. 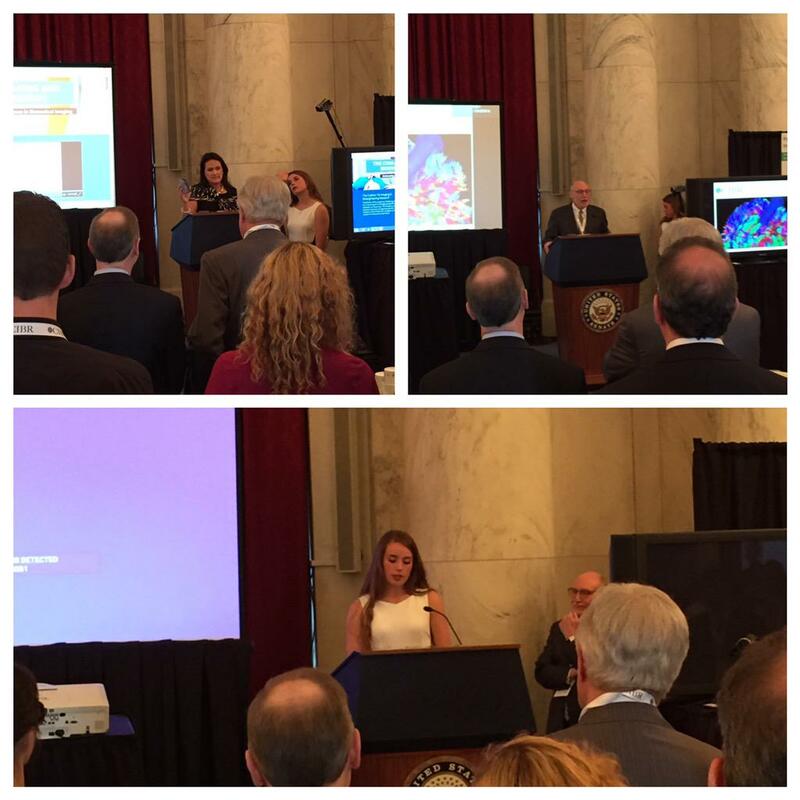 In addition to educating policy makers and the public about innovative imaging technology, the event demonstrates the value of NIH funded academic research and the importance of collaborations between academia, industry and patient advocacy groups. 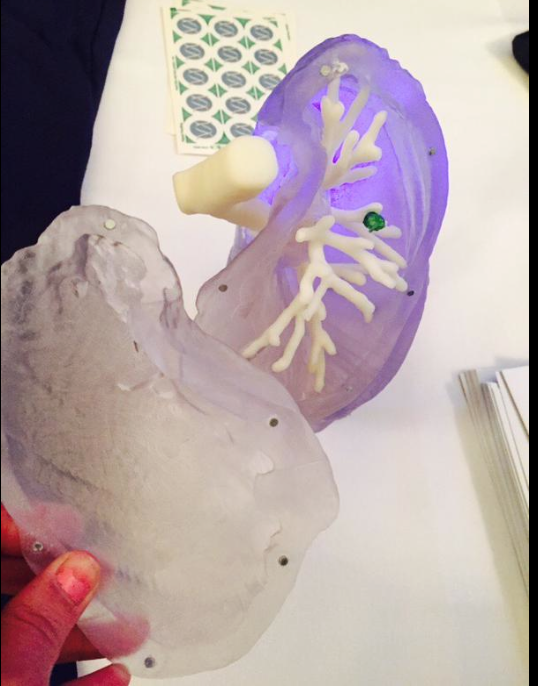 Our display booth comprised of the Department of Radiology at BWH, the Lung Cancer Alliance, and Fujifilm was a hit among attendees and we were pleased to see the level of interest in medical 3D printing. We displayed 3D printed models that have been used for different clinical applications and our booth partners from Fujifilm demonstrated Synapse 3D, a software that allows conversion of 2D image data from CT/MRI into 3D printable files. 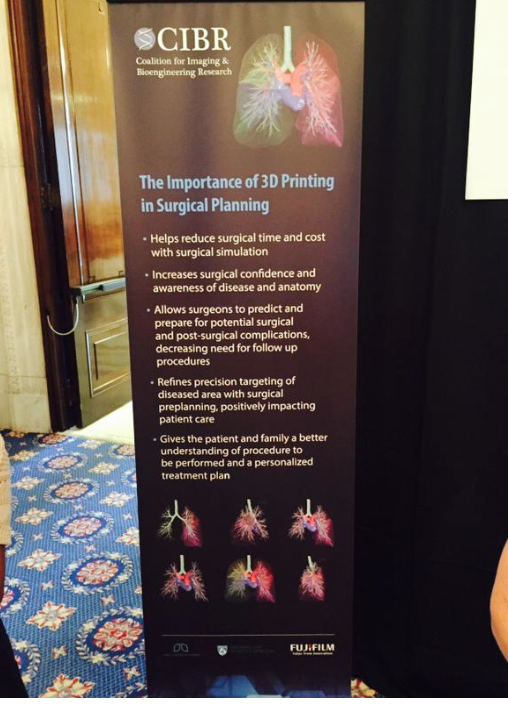 Our goal was to demonstrate the importance of 3D printing in pre-surgical planning and how it can benefit patients by allowing surgeons to devise a patient specific treatment strategy and minimize post-surgical complications. 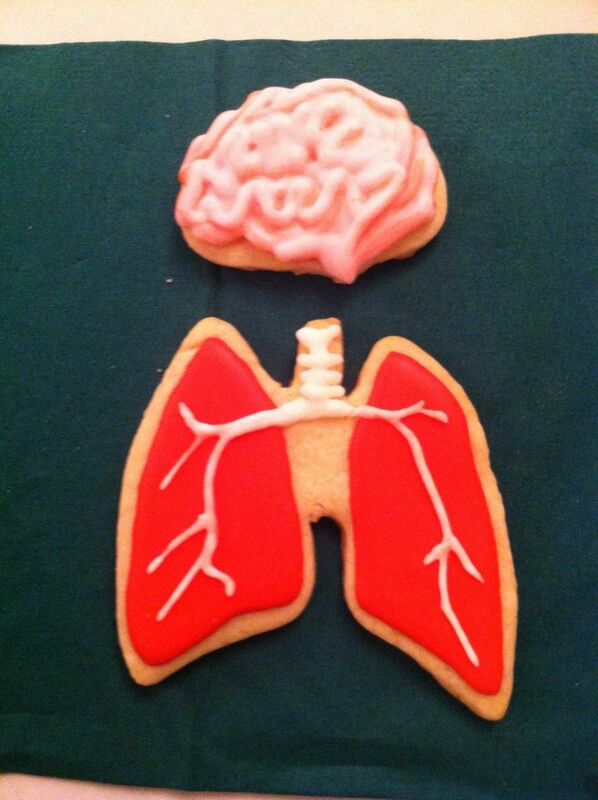 Sheila Ross, a lung cancer survivor and patient advocate from the Lung Cancer Alliance emphasized how 3D printed models can give patients and their families a better understanding of the planned procedure. It is our hope that more funding and resources will be allocated to investigate innovative medical technologies such as 3D printing, which can then be translated to impact patient care. In order to transform 3D printing from being a fad, to a mainstream tool that fosters precision medicine, evidence based benefits of its different applications will need to be demonstrated in clinical trials which will require funding.